Lerato Mokoena hails from Vereeniging in the Gauteng province and is 22 years old. This young woman speaks English, Afrikaans and South Sotho and has studied and completed a BA in Tourism Development at the University of Johannesburg. She has previously won titles as Second Princess for Miss Bikini SA and Miss Soweto and holds the title of Miss Emfuleni 2010. This inspired model would like to establish her own NGO one day reaching underprivileged communities in rural areas of South Africa. Her focus will be to empower the youth of these communities. 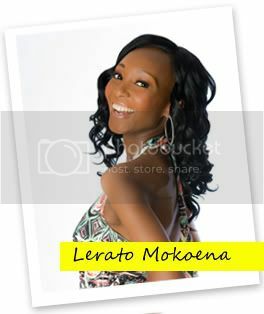 Lerato has a kind smile and cheerful glow, with deep chocolate brown eyes.